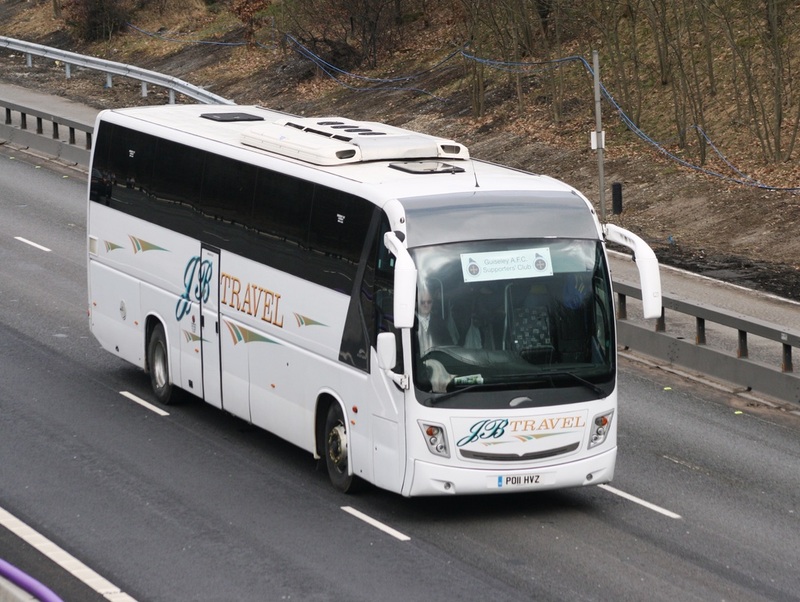 ​​​Away travel is organised to away games by the Guiseley AFC Supporters’ Club. ​We offer a friendly atmosphere and fun-filled away days following the Lions! 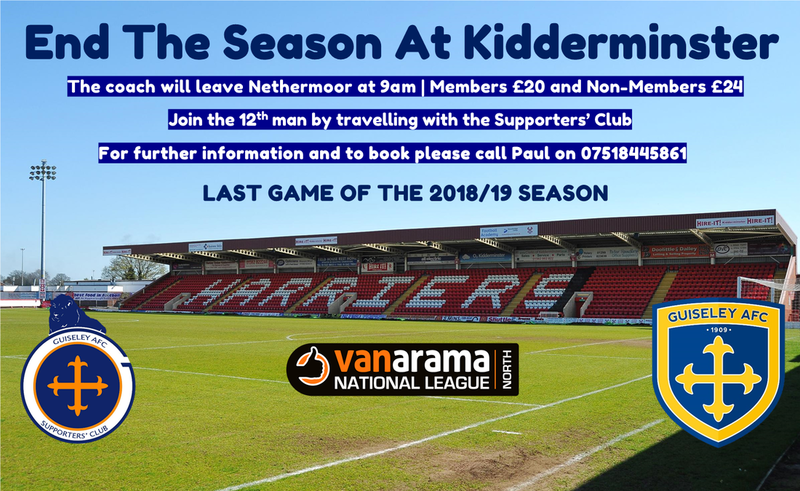 Coaches set off from Nethermoor Park, please arrive in good time. ​Or book online by filling in the form below. Details of our upcoming away games are below, for a full fixture list please click here. Members £20, Non-Members £24. The coach will leave at 10am. Members £20, Non-Members £24. The coach will leave at 9am. 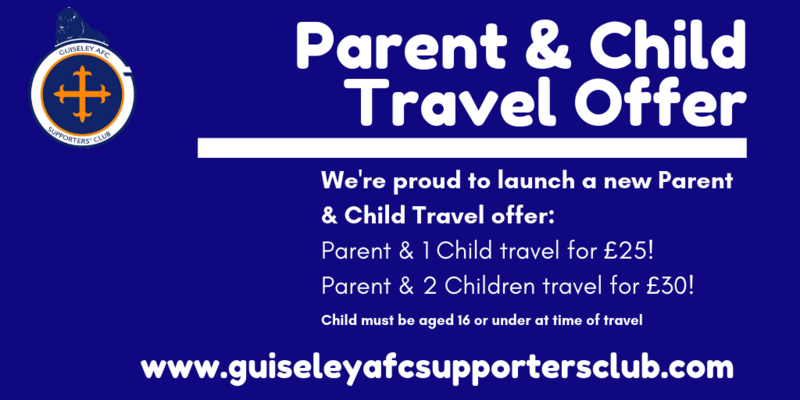 We have launched an offer for travelling Parents and Children to make football travel affordable. We always use J & B Travel as our travel provider, visit their website, link below, to find out more about the service they offer. Don't forget to mention us should you make an enquiry or book any travel with them.